Stainless steel adjustable ring, hand polished. It has a 14 mm diameter pad to glue glass cabochons on it. 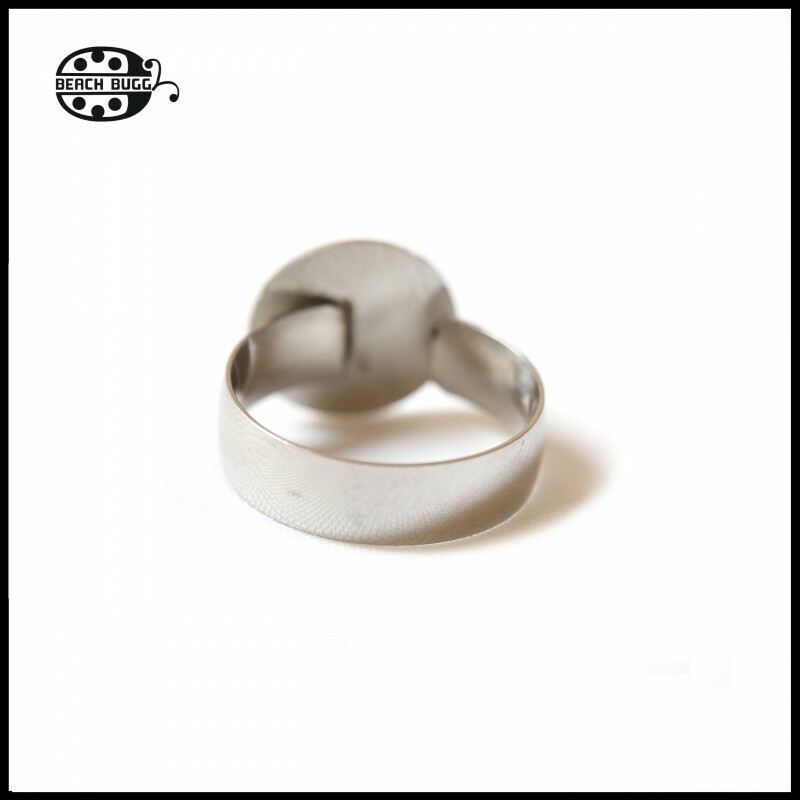 The ring's inner diameter can be adjusted from 17 mm to 18.5 mm (it is the suggested maximum - although you can make it larger, we advise against it). 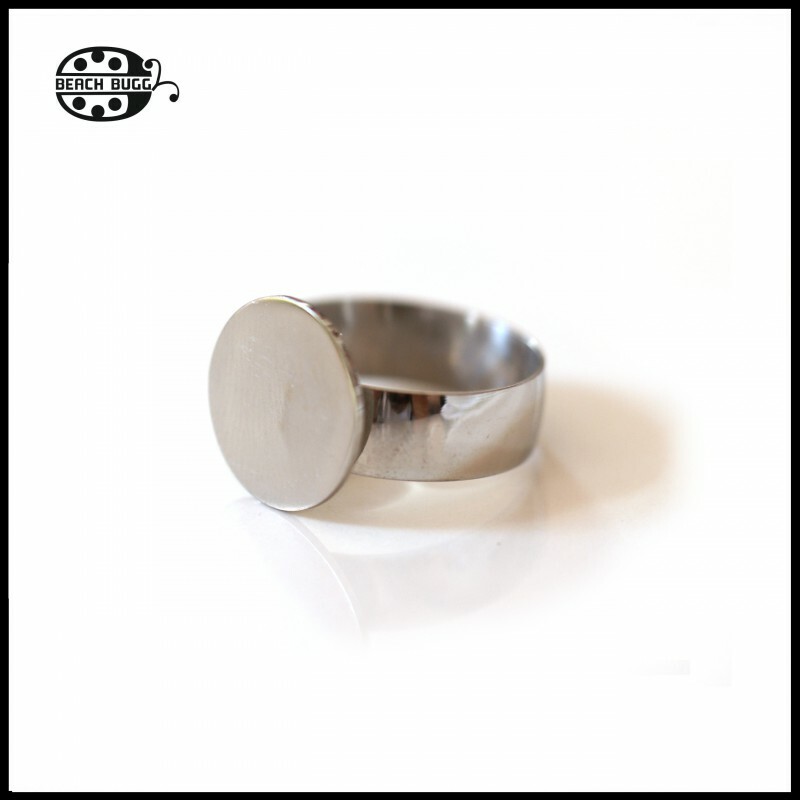 The ring itself is 6 mm wide. Please abrade the surface of the pad before applying glue.